Regarding our strategy for the hybrid, today we already have a 28-75mm f / 2.8 and we announced the development of 17-28mm f / 2.8. We should also propose later another zoom lens that will cover the telephoto zoom range. 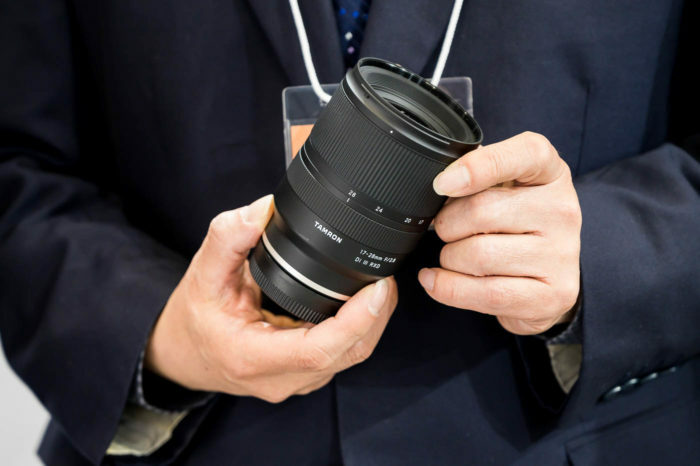 Once available, this lens will cover the 17mm focal range at the telephoto. This is the first step to reach. We can also think of more advanced products, such as optics with stabilization or other functions, and we may have fixed focal lengths inspired by the SP range. There is a lot to do right now, the hybrid market is growing and we do not have enough products yet. Our strategy is therefore to offer higher-level optics, the market moves very fast and we must accelerate to follow this market.